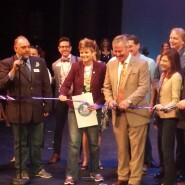 The International Fringe Festival kicked off their 24th year with an opening ceremony and ribbon cutting at the Shakespeare Theater in Orlando on May 14. 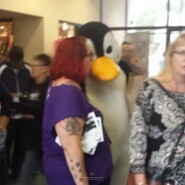 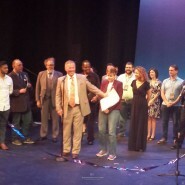 “Happy Fringe,” declared Fringe executive director George Wallace as a crowd of Orlando theater fans witnessed Mayor Buddy Dyer cut the ceremonial ribbon and proclaimed the next 10 days as Fringe week. 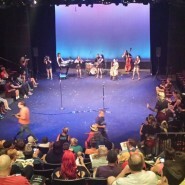 The Fringe Festival, which is the oldest of its kind in the United States, will feature 133 ticketed shows ranging from local artists to international theater troupes. 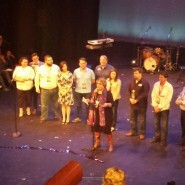 “Orlando is honored to be the host city to the longest running, most popular and best Fringe Theater Festival in the world,” Dyer said. 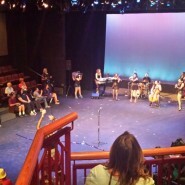 The Fringe Festival will run until May 25 and has several venues throughout the Loch Haven Park area where the shows will perform.